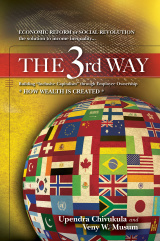 In my view, THE 3rd WAY may potentially do more to change society for the better than any other book ever published. As we know from the Piketty book, “Capital in the Twenty-First Century” and from hundreds of newspaper and magazine articles over the past twelve months, income inequality and wealth concentration has reached epic proportions, not only in this country, but in all of the major industrialized countries around the world including Europe, China, Russia, the Middle East, and South America. Everyone, including major political leaders on both sides of the aisle, agree that something must be done, but no one quite knows what should be done to reverse this trend. As we know, Piketty’s book has been a top seller on Amazon on both sides of the pond. Piketty deserves a great deal of credit for highlighting the severity of the problem and for helping to keep this issue in the public debate. But his solution-imposing an international wealth tax- does not solve the problem and would not be practical in any event. As always, there will be many countries eager to serve as tax havens in the hopes of attracting capital and improving their own economies at the expense of others. More importantly, Piketty’s solution is nothing more than an attempt to convince world leaders that traditional liberal redistributionist policies will work if practiced on an international scale, even though such policies have not worked in the U.S. or in any Western country. We have tried these policies off and on ever since the Great Depression, but they have utterly failed to reverse the long term trend towards greater and greater concentration of wealth. For example, we have periodically raised the minimum wage, subsidized early childhood education, subsidized health care, provided unemployment benefits, etc., but all of these are but palliative measures. None of these measures have done anything to correct the systemic problem that decade after decade enables the rich to get richer and the poor to become poorer. The systemic problem that exists in the U.S. and in all of the major economies around the world is that the workers are relegated to receiving a fixed wage, while the owners get all of the profits and all of the benefits of ownership. For a long time in this country, we at least had company-provided profit sharing plans, but now company sponsored-profit sharing plans have all but disappeared. As a result, the workers have become a fixed cost of doing business. Once a company’s revenues cover all of their fixed costs, the company starts to become profitable, and all of the profits go to the owners. The workers, having had their wages fixed at the lowest rate possible, are cut off from any opportunity to share in the wealth they have helped to create. When you think about it, the existing economic system is one that is highly rigged for the benefit of the haves, and it is basically an unethical and immoral system. It is little more than feudalism clothed in the name of capitalism. It says to the worker, work hard and work for a low wage. If the business fails, you will be fired. If on the other hand it succeeds, you will not share in the upside. Why would anyone in their right mind accept this model? Why would anyone take all of risk of having the business fail and losing their job, and yet not have any upside if the business succeeds? Clearly, this model is flawed and needs to be replaced by a new model. So, how can this be fixed? Can it be fixed by enacting higher income taxes and higher inheritance taxes on the wealthy, as Piketty suggests? No. Even the poor don’t think this is a solution. 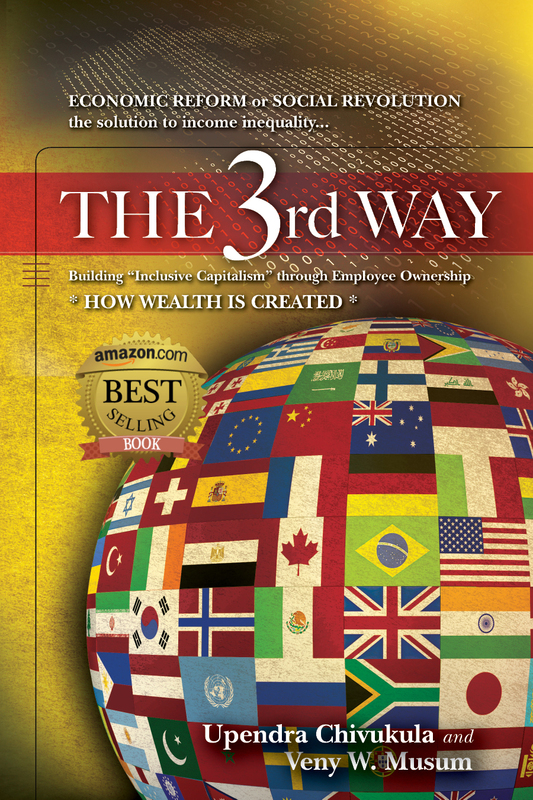 THE 3rd WAY offers the only practical solution to this problem – make many of the current business tax deductions conditional upon the business having some sort of broad based equity plan for its employees. Under THE 3rd WAY, there is no attempt to tax away anybody’s current wealth. Under THE 3rd WAY, there is no attempt to redistribute wealth from the haves to the have nots. All that happens under THE 3rd WAY approach is that as future wealth is created, the workers participate in some of the wealth that is created by their own efforts, and the concentration of wealth begins to diminish. In any event, the timing for a book such as THE 3rd WAY could not be better. THE 3rd WAY continues the discussion started by Piketty and others regarding the inequality of incomes and the concentration of wealth. This historically significant book is a one time opportunity to contribute to the debate and to potentially make a difference in the future of our economy and in the well being of millions of U.S. workers and countless others worldwide.